PC Running slow? Got strange pop-ups? Stop by or give us a call. NCS Offers cleanups at just $49.95+tax for drop-offs/walk-ins. Data security is the life-blood of any business. Is your data safe? What will your business do if your system fails to start? Backup options are extensive. NCS offers peace of mind in knowing that your information is safe and recoverable should disaster strike. 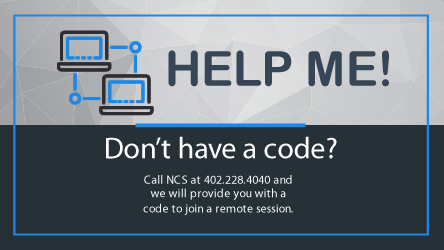 Contact NCS for a backup and recovery option that is right for your business. Interested in moving your business to the cloud to eliminate semi-annual upgrades? Want to host your CPA / Law firm in the cloud? Maybe your just ready for multi-user file syncing between multiple offices. Call us today and let us help you get started with the right cloud service for you. NCS is an all-in-one solution for all your web development needs. Domain Name Registration, Web Site Hosting & E-Mail Hosting. Our development team has over 10 years experience designing professional grade sites. If you already have a domain name, NCS can offer hosting for website and/or e-mail hosting. If you do not own a domain name NCS can help you get one picked out and purchased, then get you going with the hosting services your business needs. Our Mission: To provide all businesses and people with the highest quality computer & network consulting services using information technology (I.T.). We value professional, courteous and personalized service. We work with our clients to design, build and implement the type of system they need and deserve.